Great Ocean Road Tour Melbourne - Best Chauffeur Car Services | Hire Chauffeur Cars! When you are making preparations for your trip to Melbourne or the Victoria region, there is one thing that has to be included on your itinerary – the Great Ocean Road tour. Known by many as a famous tourist highlight of Victoria, book your place on one of our Great Ocean Road tour and experience this charming part of Australia. The Great Ocean Road is an Australian National Heritage listed road stretching 243 km on the Victorian coastline. It is one of the loveliest drives in the world, with pristine beaches, picturesque sea-coast cities and also the twelve Apostles. Thinking of hiring a car for holiday? Let us do the driving. Relax and absorb the scenery, enjoy the best food and wine, and experience the best of what the Great Ocean Road has got to offer. Great Ocean Road tour is one of the world’s most spectacular coastal drives. Our Great Ocean Road tour visits from Melbourne depart the city in the morning, joining the road at its start line in Torquay. On the journey from Melbourne, we pass through Torquay before enjoying morning tea at Southern Australia’s lovely beaches. Twist and wind on the spectacular Great Ocean Road enjoying wonderful coastal photograph opportunities. Along the way, you get to see loveable koalas in the wild. Enjoy one of the planet’s most spectacular coastal drives as you travel on the world famous Great Ocean Road Road. There is no word to express the wonder of the Great Ocean Road Tour. Enjoy the beauty of Australian wildlife, while checking out the wonderful surf beaches, and walk amongst the ancient rainforest, before arriving in the afternoon to witness the marvel of the massive limestone stacks referred to as the twelve Apostles located in Port Campbell Park. Travel in our vehicle with comfortable reclining seats, air conditioning, massive viewing windows and other modern conveniences as we tour down the Great Ocean Road. The Great Ocean Road is the ultimate Australian road trip. Twist and wind your way on the road sculptured out of the sheer cliff edge. On this convenient tour, you will be able to experience a problem free journey. You will be rewarded with exciting views, lush forest, historic cape lands and excellent sandstone statues within the ocean. What could be more exciting? Our team is devoted to delivering you with an interactive and informative tour trip experience that is full of fun, rather than simply dragging you around Victoria. Wear the sense of adventure along with your warm clothes, sunscreen, hat and shades, and a pair of comfortable walking shoes. Bring your camera so you’ll be able to record your journey and experience with us throughout this great Ocean Road tour. The tour is guaranteed to be filled with adventure. 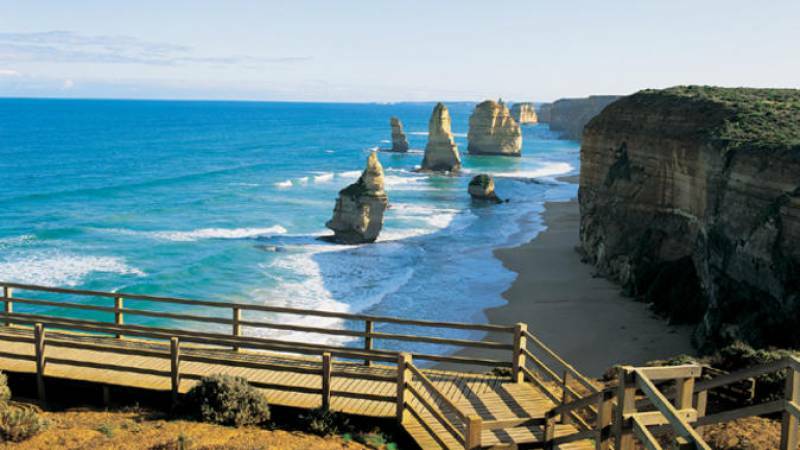 Book your Great Ocean Road tour trip with chauffeur car Melbourne today!